A Guinness World Record has been set in France for the world’s longest wedding dress train, measuring over 8,095 metres long. The team also incorporated part of the previous record- breaking garment that measured 1,203.9 metres. 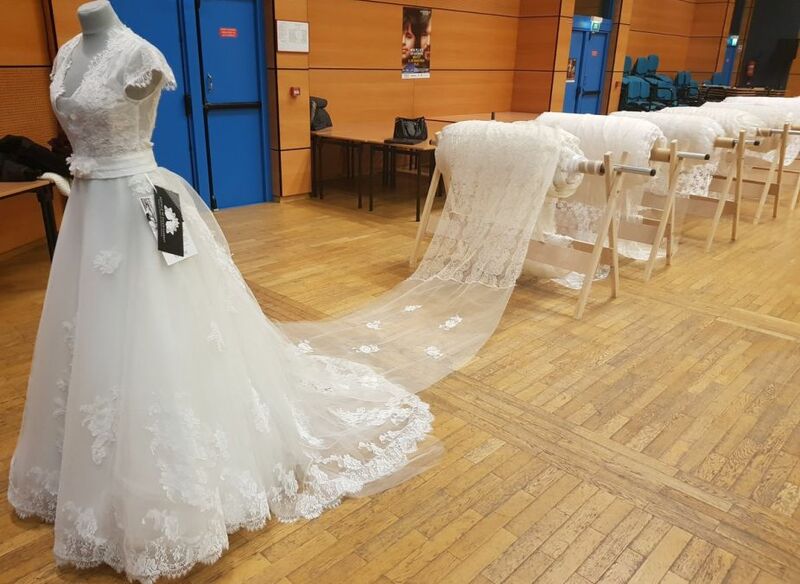 The wedding dress was unveiled in Caudry, a French town famous for its production of lace, 11 years after the Guinness World Records title was first set there. The measuring was overseen by professional surveyor Christophe Dumont of French surveying firm Cabinet Caron- Briffaut and Guinness World Records adjudicator Rob Molloy, who presented a certificate to the company. Afterwards, the wedding dress train was cut into segments and sold, and all the money was donated to charities.